City and tribal-government employees on Alaska’s St. Paul Island get Oct. 28 off each year for a holiday you might not have heard of: St. Paul Aleut Independence Day. It marks the day in 1983 when Saint Paul islanders gained their freedom from the federal government. Various U.S. agencies had been running the island’s fur seal harvest and economy for decades, leaving the locals as little more than wards of the state. Yet here in the world’s largest Aleut, or Unangan, village, none of the children speak that language fluently. “The youngest fluent speakers are about 75 years old,” Aquilina Lestenkof with the Aleut Community of St. Paul’s Office of Cultural Affairs said. Her tribal-government office is spearheading an effort not to perserve the Aleut language in dictionaries or mp3s, but to bring it back from the brink. The need is urgent, but it might be unrealistic, if not inhumane, to plunk an elder straight into a classroom full of preschoolers and expect them to become a language teacher. 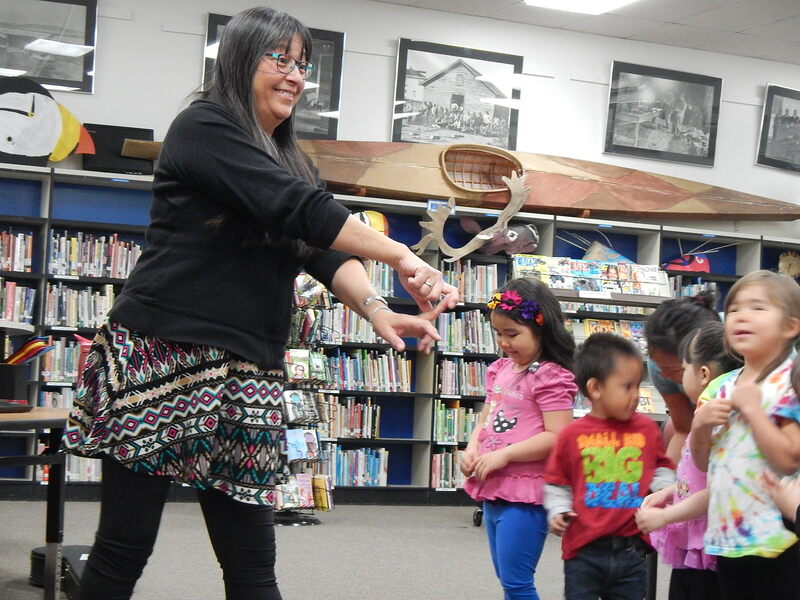 Though it could delay the start of more widespread learning of the language, the St. Paul program is tapping elders’ knowledge to develop more teachers first. “Elders, they are very, very high-prized treasures right now for us,” Lestenkof said. Only 96 fluent speakers of Unangam Tunuu remain anywhere, with the largest concentration on the island of Atka in central Aleutians, according to the Aleutian Pribilof Islands Association. 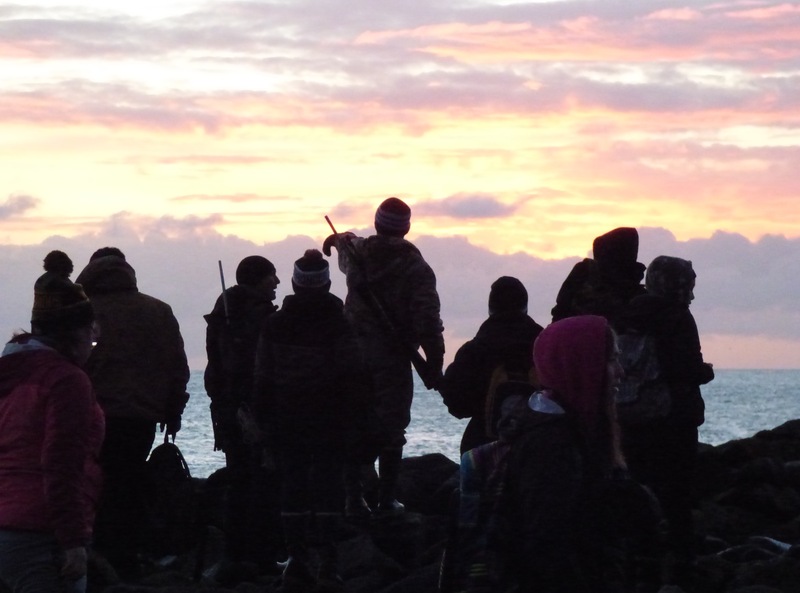 “People in our communities are more likely to speak Spanish than Unangam Tunuu,” Millie McKeown with the Aleutian Pribilof Islands Association said. A core group of just four elders is actively involved in St. Paul’s language revival effort. He said when he goes to the grocery store, he’ll just start talking to people in Unangam Tunuu. Fratis helped mentor Lestenkof and other aspiring teachers of Unangam Tunuu this summer at the first-ever Aleut language intensive program. Aspiring teachers from around the Aleutian and Pribilof islands came to St. Paul to attend. They met with elders in small groups. In conversations and skits, they went “hunting,” as they call it, for bits of language from the elders’ minds. The goal is to have newly fluent speakers and have them teaching in the school within three years. People need local languages to understand local places, according to Aquilina Lestenkof, whether that’s a remote island in the Bering Sea, or just about anywhere else. “We need to keep them in order to better understand our responsibilities on the whole of the earth,” she said. Words alone can’t keep the deep local knowledge of the Pribilof Islands alive. So the tribal government is also helping teach children the islands’ biology and how to survive off it. On a rare calm, clear October morning, a group of middle-schoolers joins two hunters on the coastal tundra looking for food. As the sun rises over a flat Bering Sea, hunter Dimitry Zacharof scans the water. The waves are dotted with fur seals, but he’s looking for a sea lion. “If you see a bunch of seals in one area, they just start to disperse all of a sudden, a lot of times it’s a sea lion coming in,” Zacharof tells the students. Zacharof, who plans projects for the city of St. Paul when he’s not hunting, stands on the tundra just above a rocky point where waves collide from two directions. He says if he can shoot a sea lion close to that point the waves will wash it ashore. The trick is getting a sea lion to come close enough. “I like to learn different things and new things about our island,” eighth-grader Carley Bourdukofsky. She says seal is one of her favorite foods and she helps out when her dad goes hunting. “If I could only bring it back, I’d be happy,” Fratis says, first in Unangam Tunuu, then in English.